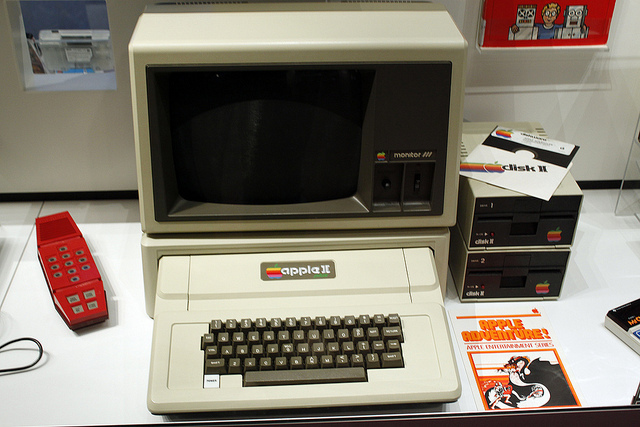 There’s probably a number of reasons why PC shipments stalled overall at the end of 2011. One of them could be the emergence of mobile devices like the iPad and several hundred different Android tablets. Another reason could be that there hasn’t been anything really exciting going on in the desktop space for some time. Research firm Gartner shared numbers that showed a Q4 decline after two strong quarters before it. The drop was 1.4% among all vendors, and ended the year selling a total of 92.2 million units. 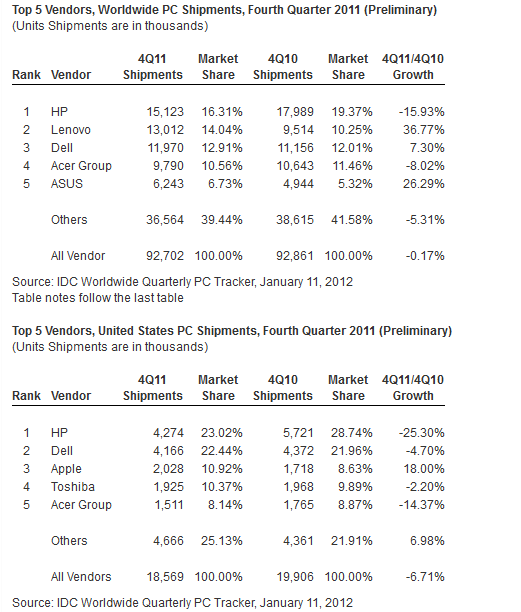 HP stayed on top of PC sellers at number one, but had a global dip of almost 16% compared to its shipments in 2010. Apple fared rather well in the US with an astounding 18% year over year growth, according to these numbers from IDC, even though they’re stuck at number three behind HP and Dell in the US. Where will the PC market go from here? The introduction of Windows 8 should boost sales at some point this year, with new machines shipping with it pre-installed, but the first two quarters of this year should be fairly quiet thanks to the whisper-end to an otherwise strong 2011.